Team Spotlight: Hunnies Cheerleaders Heat Things Up with Their Fiery Uniforms! Team Spotlight: BYU Dance Team - Killin' the Competition Year after Year! Team Spotlight: Little Chute Dance Team Places 1st in Kick and Pom at State! 8 Tips for Your Best College Dance Team Audition Outfit! 3 Ways an All Black Tryout Outfit Doesn't Have to Be Boring! Team Spotlight: MN State Jazz Champs - Wayzata Dance Team! Team Spotlight: NDTC Hip Hop Champions Holy Angels Dance Team! Team Spotlight: WI State High Kick Champs - Ashwaubenon Dance Team! Team Spotlight: University of Alabama Dance Team - Loud and Proud at UDA Nationals! 5 Best Exercises for Dancers to Increase Jump Height and Power! Team Spotlight: The Redskins Cheerleaders Throwback Uniforms! Team Spotlight: The Minnesota Vikings Cheerleaders' Multi-Uniform Wardrobe! How to Design a Custom Dance Costume: What's a Prototype or Sample Garment? How Long Does it Take to Design a Custom Dance Costume? Team Spotlight: Cherry Creek Poms' New Uniforms! Team Spotlight: Purdue Golduster's Western Themed Uniforms! 5 Ways Dance Costumes Can Take Your High Kick Routine to the Next Level! 4 Best Dance Costume Trends from 2017 NDA College Nationals! Team Spotlight: Benilde-St. Margaret's Dance Team Wins MN State Jazz AA Championship! Team Spotlight: Lakeville North Dance Team Takes Home 3rd Place at MN State! Photo Roundup: 2017 NBA All Star Dancers! Competition Season Recap: 2017 North Dakota Dance Teams! 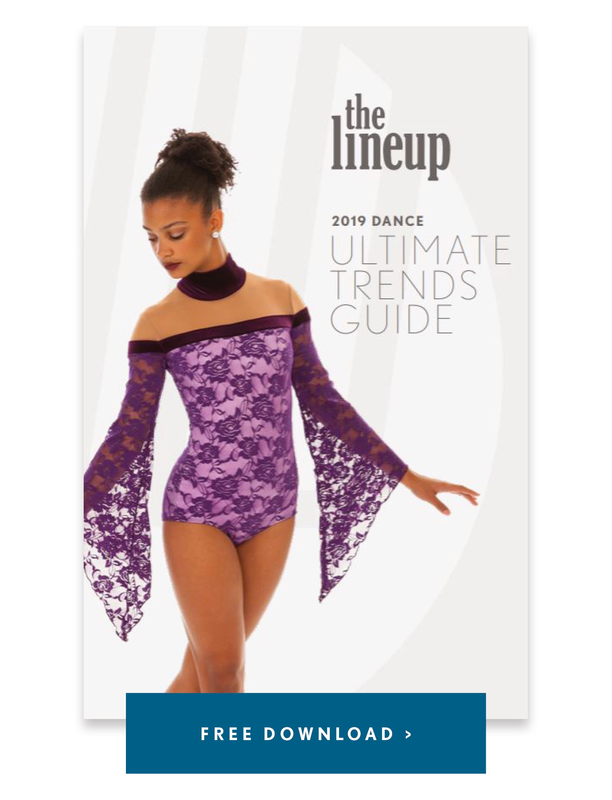 4 Favorite Dance Costume Trends from NDTC! Top 3 Dance Costume Trends from UDA College Nationals! Congrats to the Clemson Tigers on their National Championship Win! Team Spotlight: Arizona Coyotes Paw Patrol's New Signature Uniforms! Looks We Love: NFL Cheerleaders' Bold Color Rush Uniforms! Team Spotlight: Spurs Silver Dancers' Classy, Sporty, and Modern Uniforms! Team Spotlight: Rostock Seawolves Debut Their New Dance Team! Looks We Love: 7 NFL Teams With the Most Adorable Junior Cheerleader Uniforms! Dance Costumes on a Budget: 18 Doable Fundraising Ideas for Your Team! Looks We Love: The Best of High School and College Gameday! Team Spotlight: Georgia Tech's Positive & Spirited Goldrush Dance Team! Team Spotlight: The Hurricanettes' Bold & Spicy Latin Themed Uniforms! Team Spotlight: Rainbow Warrior Dancers’ Bold & Sparkly Statement! Team Spotlight: UConn Dance Team's Sparkling Game Day Top! Dance Costumes on a Budget: How Color & Fabric Can Transform Any Look! Team Spotlight: Allatoona's Hotshotz Dance Team! Team Spotlight: Augustana Dance Team's New Uniforms for a New Logo! The Best Dance Costume Companies for Your Every Need! Looks We Love: College Dance and Cheer Teams Start Their Season in Style! Minnesota Vikings Cheerleaders Team Spotlight: New Year, New Stadium, and a New Look! How Many Lives Can Your Costume Live? The Line Up Takes Atlanta for the 2016 All Pro 3 P-R-O Convention! The Line Up Got a Makeover! Looks We Love: 13 Favorite Military and Patriotic Dance and Skate Costumes! Team Spotlight: The Portland Steel Cheerleaders Sparkle in the Arena! Team Spotlight: Miami University Collegiate Team Skates its way to the Nation’s top! Philadelphia Eagles Cheerleaders: The First Day as a Professional Cheerleader! Team Spotlight: Louisville Ladybirds Dance Team, 2016 NDA National Champions! ISU World Synchronized Skating Championships 2016 Recap! How to Get the Most Out of Your Camp Top! NDA 2016 College Nationals Recap! The Easiest Way to Save on Your Custom Costume! Team Spotlight: Faribault Emeralds, Early Planning Queens! Team Spotlight: Hortonville Dance – A Team on Fire! Garment Care 101: How to Wash Your Dance Costume! Team Spotlight: St. Viator High School Dance Team Steps Out! Competition Recap: 2016 Minnesota State Dance Team Tournament! Team Spotlight: Shattuck-St. Mary's New Synchro Team! Good Luck to our Superbowl Teams! TeamSpotlight: Chicago Radiance - All About the Warm-ups! 4 Street-Inspired Hip Hop Looks! Competition Recap: 2016 UDA College Nationals! Our 5 Favorite Theme Costume Ideas for 2016! Looks We Love: 16 Of Our Favorite Holiday Looks! Looks We Love: 2015-2016 High School Dance Competition Season Kicks Off! Team Spotlight: Eden Prairie Dance Team Shows off Their New Leggings! Team Spotlight: Waterloo Columbus Catholic Dance Team, Iowa State Hip Hop Champs! Looks We Love: NFL Cheerleaders Salute in Style! Team Spotlight: University of Nebraska Omaha's Stellar New Uniforms! Team Spotlight: Portland Trail Blazers Dancers Start the Season with a Bang! Team Spotlight: North Texas Dancers' Fabulous Wardrobe! Team Spotlight: How the Baltimore Ravens Cheerleaders Perfected Their New Signature Uniform! Looks We Love: Breast Cancer Awareness in the NFL! Team Spotlight: Western Michigan University's New Game Day Tops! Team Spotlight: Ashwaubenon Dance Team's 2 Ingredients for a Perfect Warm Up! Team Spotlight: Phoenix Synchro's Flawless Practice Look! Customer Spotlight: The Tennessee Titans Cheerleaders' New Uniform! Team Spotlight: Ice & Blades New Warm Ups! Team Spotlight: University of Minnesota - Duluth Dance Team's New Game Day Look! Field Trip to Chicago for the 2015-2016 Luvabulls Dancers! Behind the Scenes of The Line Up Dance Video! Team Spotlight: New Performance Tops for the Bismarck Demonettes! The Line Up featured on WCCO Morning Show! Office Dance Party- 125 Dancers in One-Take! Looks We Love: Custom Practice and Team Apparel! Minnesota Vikings Cheerleaders On Stage with Aerosmith! The Line Up Makes It to the Big Screen! The Line Up in the Press! Your Game Day Uniform: Personalized Glam on the Sidelines! Greeley West HS Pom Team Found Their Costume Inspiration from TRON! Team Spotlight: Hockettes Novice Dress: "My Fair Lady"
Inspiration comes from all places- Holy Angels was inspired by Cher this past year! Bellarmine Dance Team Takes Home the Gold in Beautiful Scarlet Costumes! Totino Grace Dance Team Had Not One, But TWO Stunning Costumes This Past Year! Sublimation: Style It Your Way! Team Spotlight: Waupaca Dance Team Led the Way with Eye Catching Color Combinations! Synchronized Skating Worlds 2015 Recap! NDA College 2015 Nationals Recap! New Warm Up Styles: Stand Out Before and After Your Performance! Team Spotlight: Little Chute Has A Lot of Reasons to Celebrate! Team Spotlight: South Jersey Storm Made a Statement at Reach The Beach! Excited to introduce our new partner, INNOVATE DANCE! West Fargo High School Dance Team Custom Costumes for 2015 are Futuristic, Animalistic, and Extraordinary! 2015 U.S. Synchronized Skating Nationals! EPIC Reach The Beach 2015 Recap! The New Stuff is Here! Camp & Team Apparel Sneak Peek! San Antonio Spurs & San Antonio Rampage Have a New Look! Team Spotlight: Middleton Custom Hip Hop Unitard Is On Point! Chicago Radiance FSC: Great Themes in 2015! Green Bay Southwest: Extraordinary Inspiration for Phenomenal Costumes! The 2015 Midwest & Pacific Coast Synchro Skate Championships Were a Success! The Line Up goes International! Meet Eislau FSC Burgdorf, Our Swiss Synchronized Skating Team! EPIC Brands-The Maryland Cup Recap! Team Spotlight: Pelican Rapids High School Dance Team Uses Colors to Make Their Costumes Extraordinary! Wishing you joy, happiness, and a little extra sparkle in 2015! Team North Dakota Bring Their Inner Diva to the Ice! Mound Westonka Dance Team: Phenomenal, Creative Theme AND Economical! Minnesota Vikings Cheerleaders Stay Warm This Season with New OUTDOOR Uniforms! Happy Birthday to our Wonderful, Inspiring Owner, Deb! Westchester Knicks: New Team, New Uniforms for 2014! Blazer Stunt Team Debuts its New Sporty Uniforms! Bismarck FSC: The Most Adorable Cupcakes You've Ever Seen! Behind the Design: Junior Topcats Dresses! New Catalog for This Year: Warm Ups! New Facebook Gallery is Up! Behind the Design: Life of a New Style! Essentials Catalog: What is it all about!? Throwback Thursday- Red, White, and Blue! Modified Web, Changing Components: The Skirt. Happy Whip Your Hair Wednesday! Happy Fan & Spirit Line Friday! Fan and Spirit Line Friday: Camp Accessories! Clippers Spirit Dance Team: Playoff Game Tonight! 2014 NFL Cheerleader Auditions- Lots of Stunning TLU Outfits Spotted! The EP Mayor Swings by TLU! Hot Colors for Spring 2014! Hugs, Kisses and Hearts for All! New 2014 Tryout Wear Styles! Chicago Bulls Spreading Holiday Cheer! TLU on Abby’s Ultimate Dance Challenge! New Photos in Danceline Gallery! MVC Halloween Game - Where's Waldo? Houston Texans Dance with Vanilla Ice! Thursday Night Football Match Up! Goodbye 7625 Golden Triangle, Hello 9625 West 76th Street! More Great Dance Arts Centre Photos! Skating Early Booking Specials Now Available! Congrats to our Facebook Contest Winner! Good luck to Dance Arts Centre! 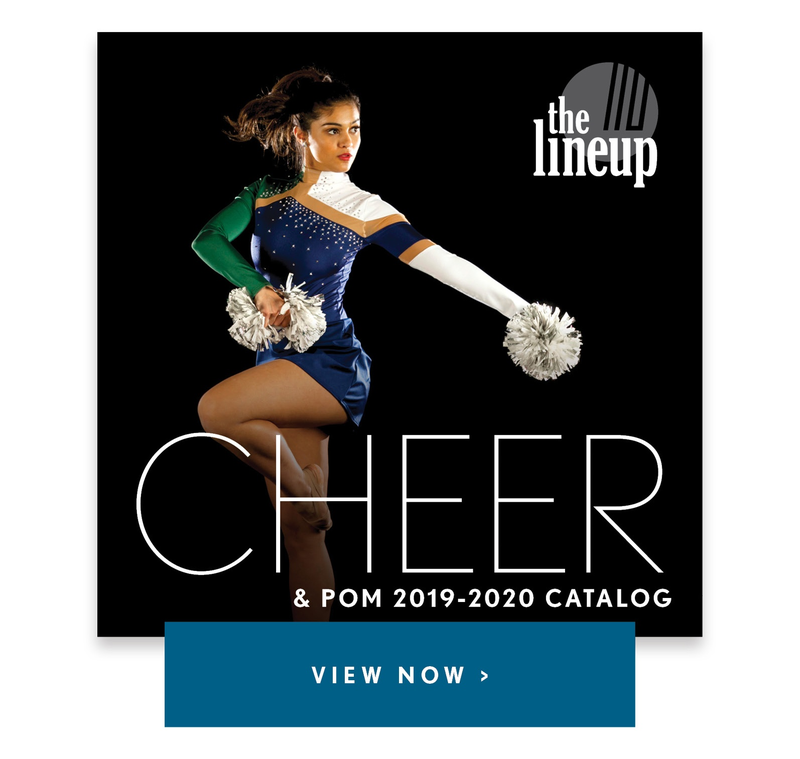 What's New for the Dance Catalog? DanceWorks Performing Arts Center Kick Tops! Minnesota State University, Mankato Takes Home First! Richfield Tapaires Dance Team Wearing their Bargain Uniforms! Tennessee Titans Cheerleaders New Uniforms! Little Chute High School New Custom Uniforms! USF Sundolls In New Uniforms! Lake Minnetonka's New Skating Dresses! Bismarck FSC in New Dresses! University of Georgia's New Uniforms! Congrats to the new Timberwolves Dancers! Jacksonville Sharks on Cheerleader Blog! Louisville Ladybirds New Camp Top! Miss Bahamas International in TLU wear! New and Exciting Products on the Web Store! Bow Costume Featured on Ultimate Cheerleaders! Kansas City Command's New Tops! New Look for the Washington Wizards! Blue Valley Southwest High School Places #1! A visit from our friends in Michigan- Phoenix Synchronized Skaters! Superior High School Dance Team! Finding Inspiration: Starr Andrews Skating to "Whip My Hair"
Elk River Dances in their New Costumes! Another Fantastic Photo Shoot, Thanks to Steve Lucas! Ashwaubenon High School unveils new uniforms! DC Everest rocks The Line Up costumes at competition! Knicks City Dancers wear The Line Up around the world! Reminder, Minnesota Vikings Cheerleaders Perform at the Mall of America Tonight! WACPC event was a success! Mandeville High School Won Best Costume in Louisiana! Minnesota Swarm- Performance Team Selected! Competition Dance Season is Approaching! Our New Catalog is at the Printer! Dance Studio Season Never Ceases! Milwaukee Bucks Energee Dance Team in Action! Nicole Bonniwell- Woman of many talents! West Virginia University won 1st at NDA Championship this past weekend! The Lady Cats are the 2010 Dance Team Champions! Making the Team Requires Looking and Dressing for the Part! National Synchronized Skating Event a Success! University of St. Thomas- UDA National Champs!! We are Celebrating the Kickoff of our New Blog!